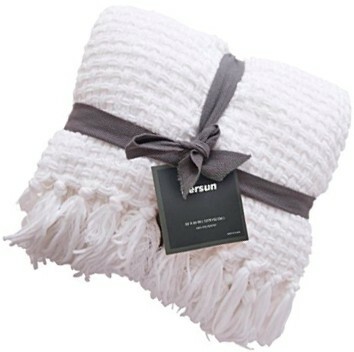 Luxurious throws are one of the best parts of fall and winter is the time you can spend curled up on the couch or bed. You can make your favorite hot beverage, grab a book or turn on your guilty pleasure tv show, grab your comfy throw and you are good to go! But what’s a lazy winter day without something warm to wrap around you? You need a plush throw! 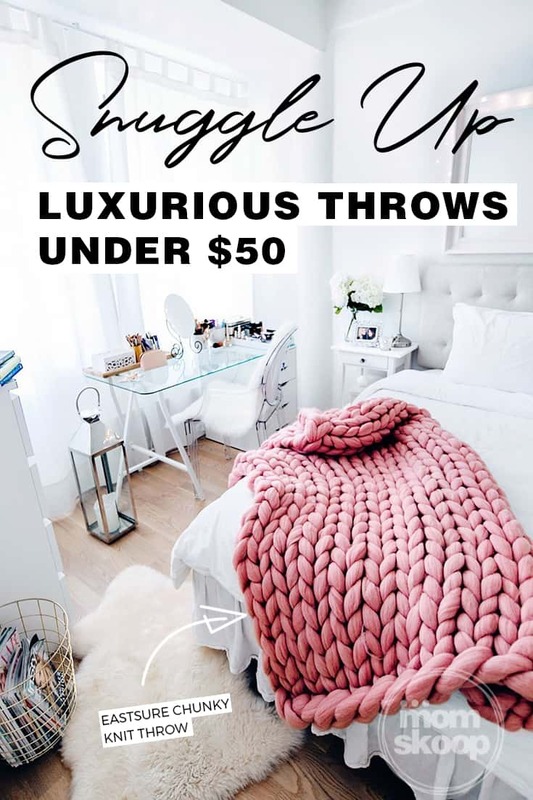 But, you don’t have to break the bank – snuggle in with these luxurious throws under $50. 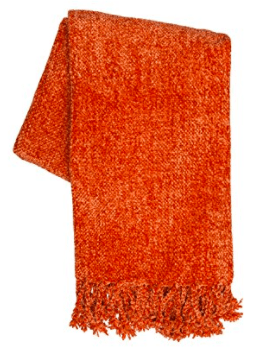 This gorgeous EASTSURE Chunky Throw is arm knitted from a giant chunky wool blend. 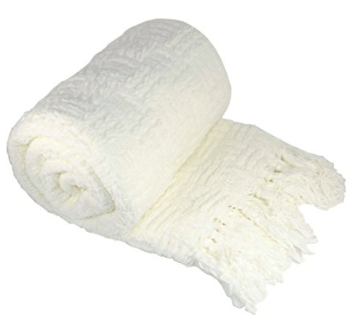 The sheep wool used is one of the finest and softest in the world. It won’t itch or irritate your skin, feeling incredibly soft and gentle to the touch. 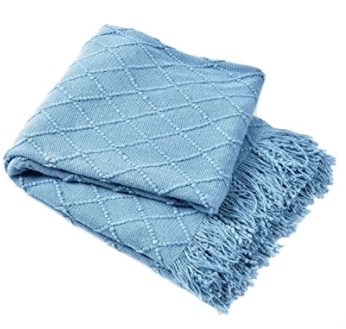 The throw has active fibers which mean it reacts to change in body temperature. That, plus its breathability, ensures you’ll feel comfortable no matter where you wrap up. 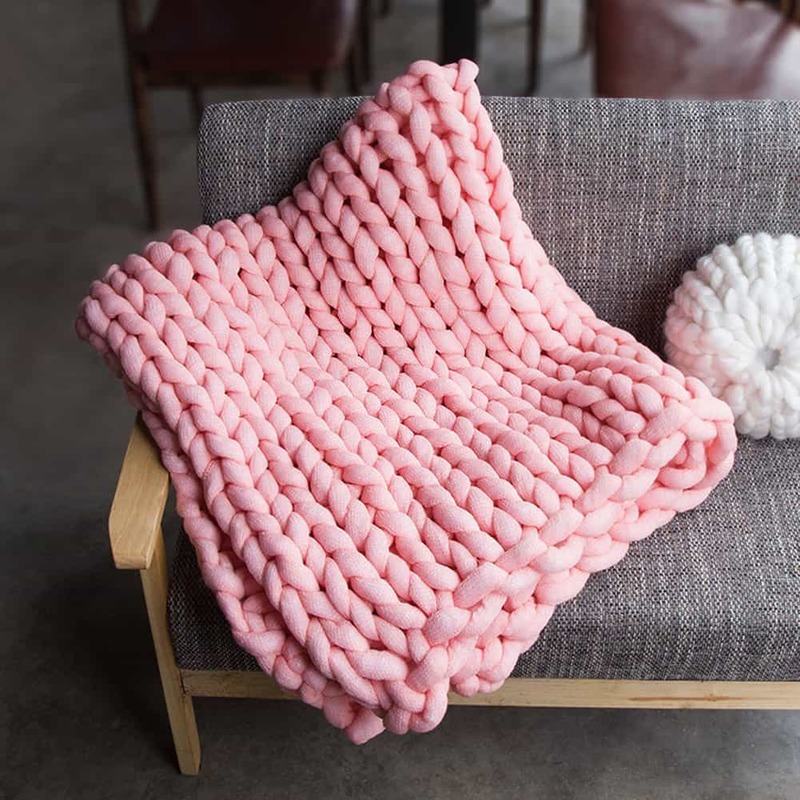 DOZZZ Thick Chenille Throw — Chenille is the French word for caterpillar, and while these Chenille Throws weren’t spun by caterpillar, they are still incredibly soft with an iridescent sheen. BOURINA Textured Throw — Bourina throws bring an classic look with a modern twist stylish decorative fringe for added flair. soft, plush, cozy, lightweight, breathable warmth that’s suitable for all seasons. 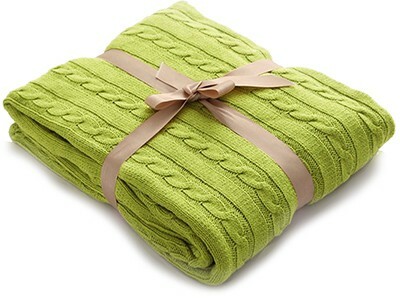 Kuprum 100% Cotton Throw — Kuprum’s Cotton Throw features a modern, flowing and voluminous cable knit throw pattern. 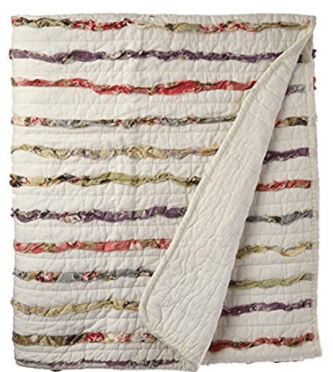 Twist Crocheted Blanket — Ruffles of floral printed fabrics are carefully sewn to an off white ground on the face of this frayed edge quilted throw, giving it an antique look and feel. 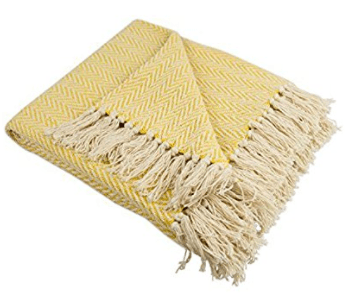 Cotton Chevron Throw Set — Old-fashioned look with a modern twist for the perfect finish that won’t unravel in the wash. set of 2. 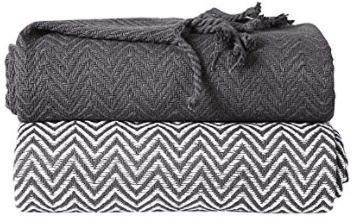 Brielle Winding Wave Throw — Luxury for any weather. Neutral color to coordinate with any decor. 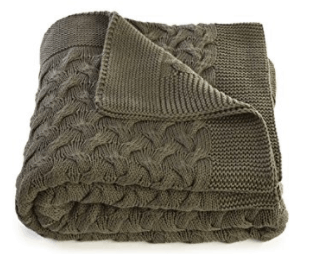 This super-soft, lightweight throw is perfect for curling up on the couch when the weather is just a bit nippy. 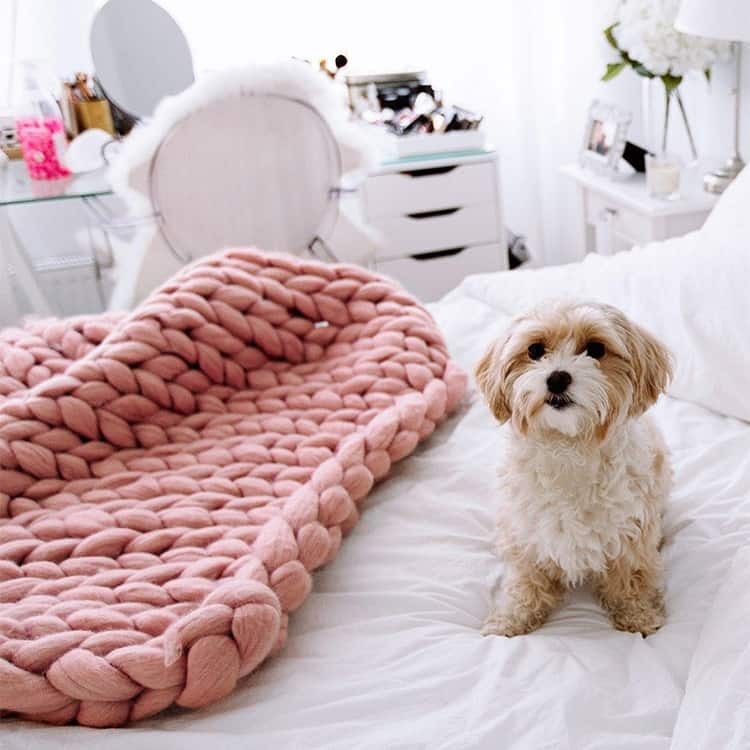 Sova Soft Chenille Throw — Designed to be irresistibly soft, this lovely throw has an exceptionally soft texture. It feels as luxurious as it looks, providing comfort and style to any setting. 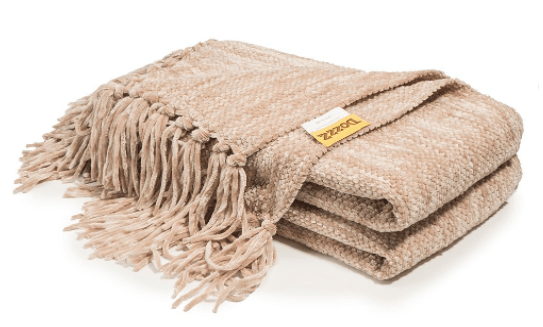 BOON Cable Knitted Throw — Designed to offer the most amount of warmth and comfort while allowing continuous airflow to keep the body from overheating, this throw is extremely soft to the touch and perfect for extra warmth on cold nights. 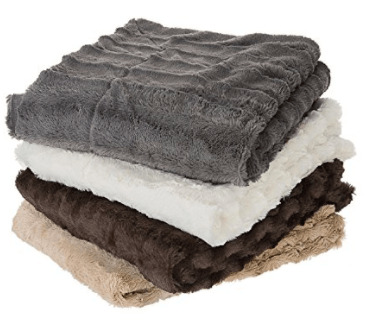 Cheer Collection Faux Fur — This Faux fur to microplush blanket is Super Soft, Cozy, Warm and comfortable. 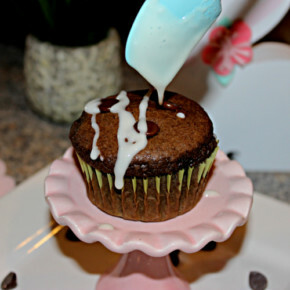 You won’t want to let go! 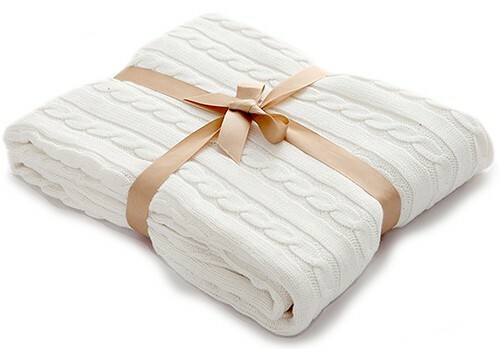 PERSUN White Soft Plush — This lightweight throw is cozy, durable and Stylish. It’s wrinkle and fade resistant, doesn’t shed, suitable for all seasons. 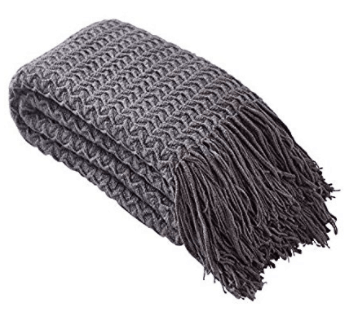 NTBAY Cable Knit Throw — Super soft, not too heavy and made with warmth and comfort in mind. And if you want to try to make your own Chunky Wool Blanket by Arm Knitting, you can find the yarn on Amazon too! Holiday Dog Stocking Fit For A Spoiled Pup!